SOLD!. WOW! 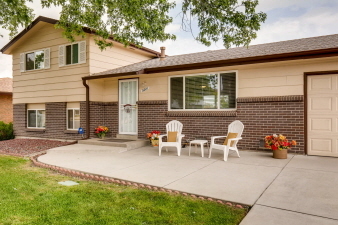 SUPER UPDATED MOVE-IN CONDITION HOME IN WEST LAKEWOOD AT A GREAT PRICE!! Bright, open floor plan - all usable space. Beautiful yard and lot. Just beautifully renovated for sale. Brand new solid hardwood hickory floors*carpet*interior paint*stainless appliances*back patio*bathroom remodel. Other features: replacement windows*wood blinds*central ac*high efficiency furnace*2016 water heater*light kitchen cabinets*security door & much more! Walk to Kendrick Lake Elementary. THIS ONE HAS IT ALL - LOCATION, LOT, FLOOR PLAN, UPDATES GALORE & A GREAT PRICE!